Written by Carson Ting. Posted on March 12, 2019. Filed under Press, Blogging. Tagged applied arts 2019, awards, illustration. 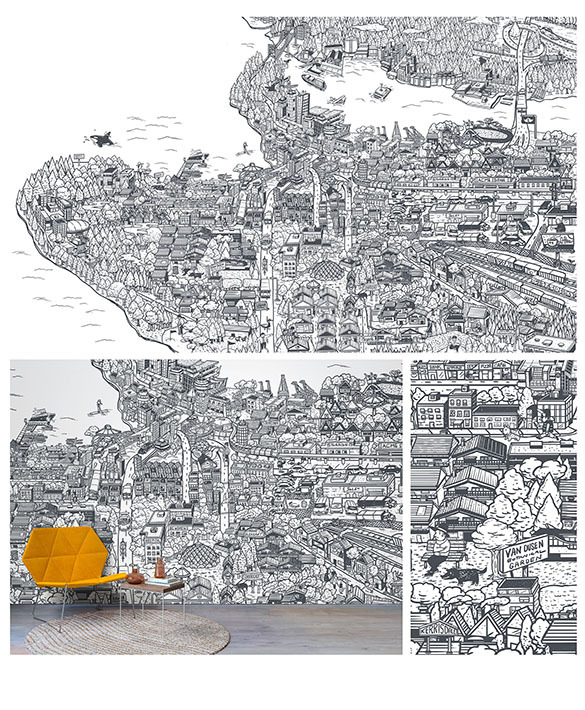 Comments Off on 2019 Applied Arts Photography & Illustration Awards Winning Entries..
We’re a little late to announce but we’re thrilled to have three of our projects selected as winners for this year’s Applied Arts Photography and Illustration Awards. Both of these projects we worked on for Kabam and Deloitte are hands down one of our top 10 favourite projects of 2018. Super happy that both of these projects got selected as winners. We have a total of 3 awards this year. Written by Carson Ting. Posted on March 28, 2018. Filed under Press, Blogging. Tagged 2018, applied arts, awards, cmpny, illustration. 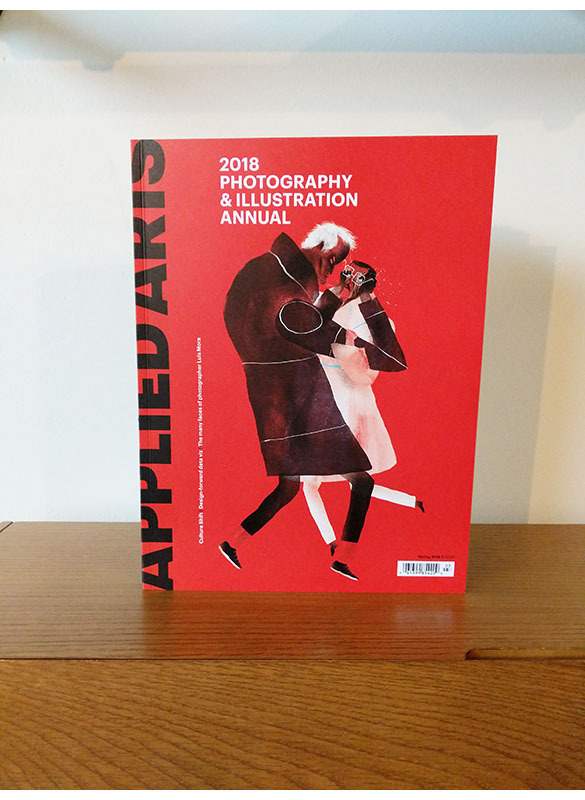 Comments Off on Applied Arts 2018 Photography & Illustration Annual. We received our copy in the mail last week. Really proud to be selected again this year, and not that we’re keeping a tab but we think we’ve been fortunate enough to have been selected for 3 consecutive years now. We really do take so much pride in all the work we do and that’s why we turn down a lot of projects that don’t fit our ‘fun’ criteria to make sure everything we do is award worthy for all our clients. Written by Carson Ting. Posted on March 13, 2018. Filed under Press, Blogging. Tagged 2018, applied arts, applied arts illustration. 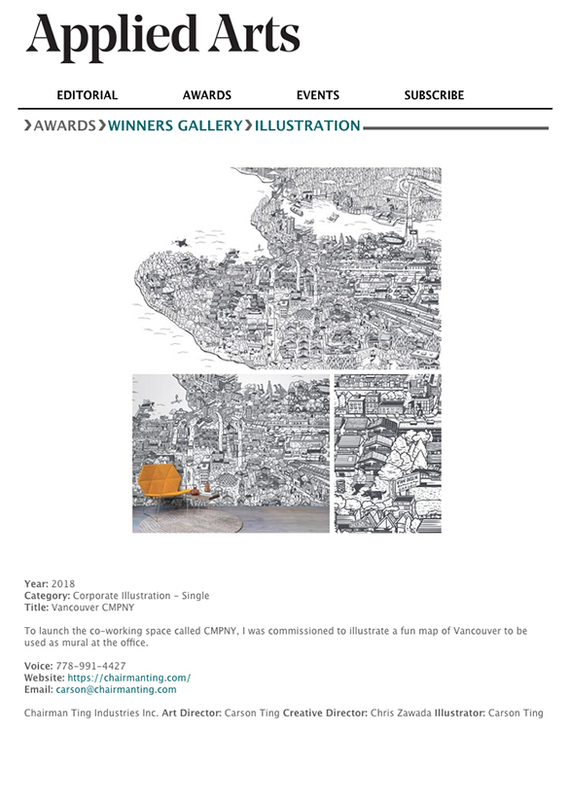 Comments Off on Applied Arts Illustration Awards: CMPNY Vancouver Mural..
First award of the year. The Applied Arts 2018 Illustration Annual. Written by Carson Ting. Posted on February 6, 2018. Filed under Blogging. Tagged applied arts, cmpny, illustration. Comments Off on First award of the year. The Applied Arts 2018 Illustration Annual..
We’re so pumped to win our first award of the year. 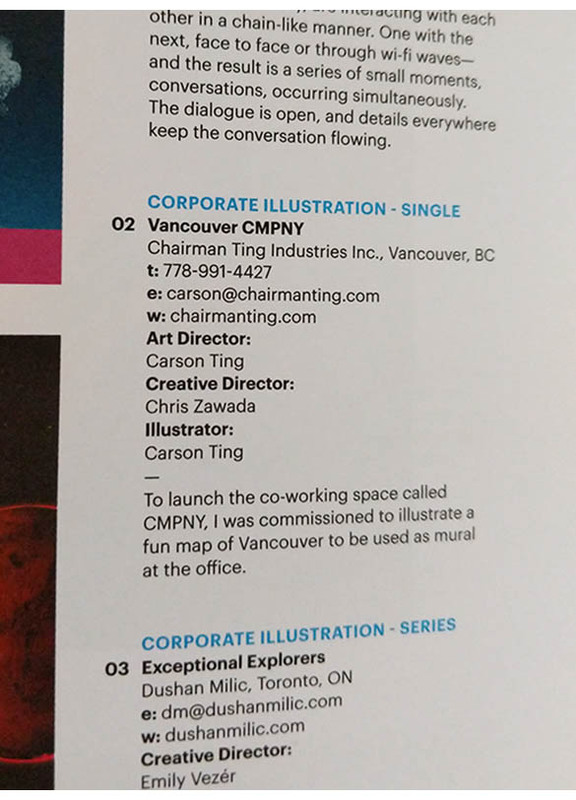 Our mural illustration of Vancouver for CMPNY was selected for Applied Art’s 2018 Illustration Annual. Congrats to all the winners! Creative and brand direction by the talented Chris Zawada. Illustration and art direction by yours truly. Written by Carson Ting. Posted on February 17, 2017. Filed under Drawings, Press, Blogging. Tagged applied arts, awards, vega, winner. Comments Off on A week of wins. 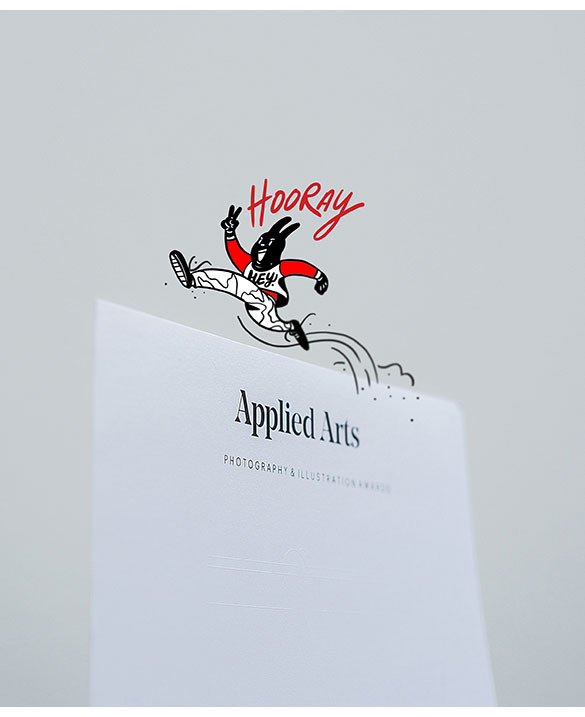 Stoked to be selected as a winner for Applied Arts Awards. 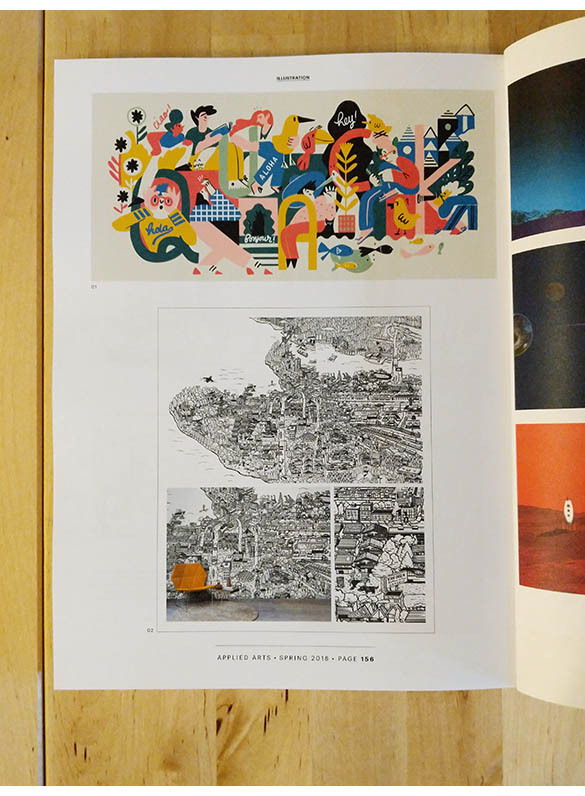 Chinatown Tales series featured in Latest Applied Arts annual. Written by Carson Ting. Posted on May 11, 2016. Filed under Drawings, Press, Blogging. Tagged applied arts, award, chinatown tales, illustration. 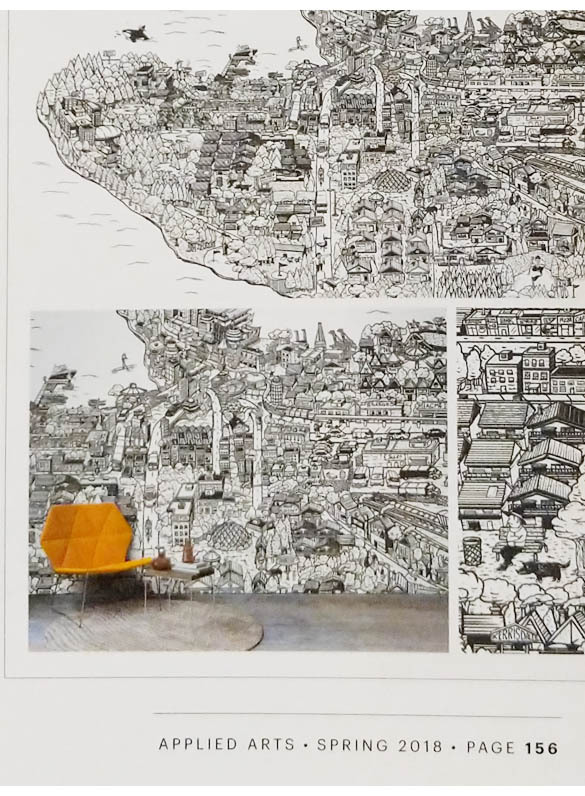 Comments Off on Chinatown Tales series featured in Latest Applied Arts annual.. Proud to have my Chinatown Tales illustration series selected in the latest Applied Arts Illustration annual. 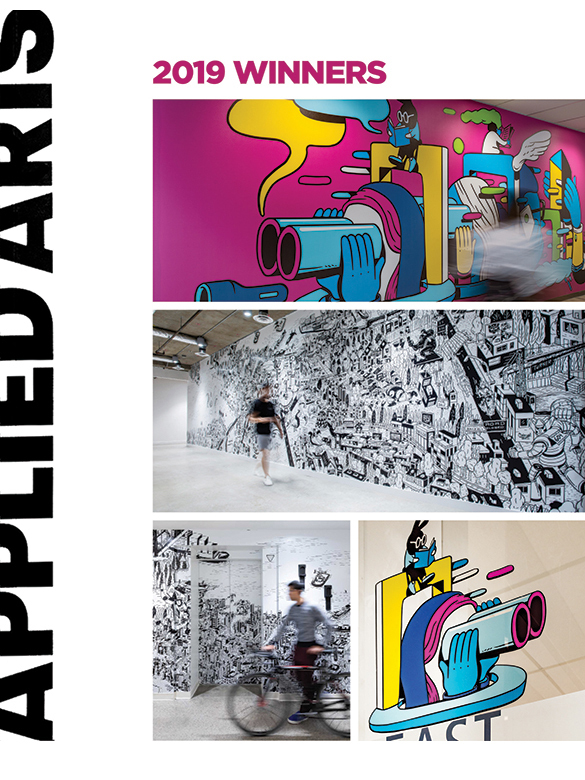 We’re featured in the latest Applied Arts Magazine. Written by Carson Ting. Posted on July 7, 2014. Filed under Press. Tagged applied arts, chairman ting, interview. Comments Off on We’re featured in the latest Applied Arts Magazine..
We’re extremely happy and honoured to have been featured in the latest issue of Applied Arts. We’ve always been a big fan of this publication for well over a decade. We still remember flipping page after page of brilliant creativity, art and design and being completely inspired by all the work in the book back when we were just students. Slowly over the years we began to have our work featured in Applied Arts but to have an editorial piece written about our studio is just absolutely fantastic! Click here for the full article story.